Origin It is also found on Asia, Europe, Australia, Mediterranean, South America and North America. Scallop is the common name of salt water molluscs that are found on rocks, rubble, coral, sea grass, sand, kelp and mud. It belongs to the family Pectinidae which consists of 50 genera and 400 species ranging from intertidal zone to ocean depths. It is consumed by humans by adding it to various recipes. It have ovate or fan like shells which are flat, smooth and sculptured with radial ribs. With the use of valve they can swim away from predators. These are hermaphrodites. It has abundant eyes at the end of mantles. It have two valves which shape from circular to broadly ovate but the right valve is inflated more in comparison to left valve. It is narrow as well as pointed in umbones. The color of Scallop ranges from brilliant red, orange, purple, yellow and white. The lower valve is lighter in comparison to the upper one. Scallops commonly feeds on microscopic plants, animals, starfish, lobsters, crabs and fish. In the reproduction process, the fertilization of eggs occurs in water by developing into free swimming veliger larvae. It metamorphoses on the bottom of the sea by settling. Occasionally, it produces pearls with no translucent layers. The pearls lack iridescence as well as luster. It is small and dull but possesses aesthetic qualities. Scallop has been used as a food when it came into existence. It gained wide popularity in the medieval era. The pilgrims use empty scallop shells to visit shrine of St. James in Spain for begging and eating. The shell and scallop became the symbol of magnificent shrine to decorate the doorways and coats of arms. It is found in various waters and is abundant in Atlantic Ocean and Mediterranean sea. It is also found on Asia, Europe, Australia, Mediterranean, South America and North America. In 31 g of cooked Scallop, we could find 17.08% of DV of Vitamin B12, 15.09% of DV Selenium, 14.83% of DV of Isoleucine, 14.77% of 13.52% of threonine, 12.03% of DV of valine, 11.87% of DV of lysine, 11.20% of DV of leucine and 10.43% of DV of phosphorus. The same serving size is loaded with 18.12 g of moisture, 67 calories, 5.6 g of protein, 3.39 g of lipid fat, 0.57 g of ash and 3.14 g of carbohydrate. It contains the vitamins such as 0.013 mg of thiamine, 0.034 mg of riboflavin, 0.467 mg of niacin, 0.062 mg of pantothenic acid, 0.043 mg of pyridoxine, 11 µg of folate, 6 µg of folic acid, 0.41 µg of Vitamin B12 and 0.7 mg of Vitamin C. Amino acids such as 0.065 g of tryptophan, 0.238 g of threonine, 0.248 g of isoleucine, 0.401 g of leucine, 0.397 g of lysine, 0.126 g of methionine, 0.077 g of cystine, 0.213 g of phenylalanine, 0.182 g of tyrosine, 0.254 g of valine, 0.392 g of arginine, 0.11 g of histidine, 0.328 g of alanine, 0.52 g of aspartic acid, 0.857 g of glutamic acid, 0.333 g of glycine, 0.263 g of proline and 0.263 g of serine. Scallop has low presence of calories as well as fat. It provides unsaturated fat along with omega-3 fatty acids. It is an excellent source of calcium and Vitamin B12 along with iron, magnesium, zinc and iron. It promotes cardiovascular health and prevents from colon cancer. It contains translucent white color having a delicate flavor. It is packed with various nutrients such as Vitamin B12, phosphorous and iron. It is also an excellent source of Omega-3 fatty acids that helps to lower the chances of stroke and heart attack. Vitamin is essential to maintain the cells in human body. It is required for the functions such as repair, formation and maintenance of red blood cells. Vitamin B12 also takes care of nerve cells in the body. It is vital for the DNA formation in the body which is performed in the division of cells. The deficiency of Vitamin B12 in the body leads to the formation of abnormal cells called megaloblasts. It could also lead to formation of anemia. It is essential to provide relief from weakness and fatigue. Vitamin is essential for promoting stamina in the body and handles the heavy work pressure. People who are allergic to shellfish, lobsters, shrimp or mollusks should avoid eating scallops. People with health concerns should consult the doctor before consuming seafood. 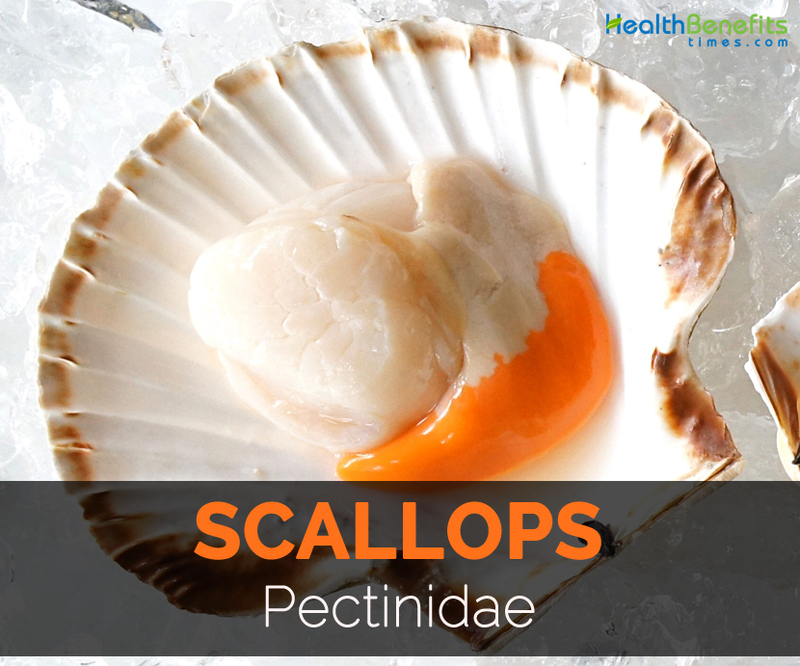 Scallops have purines in it which is harmful for the people having purine related problems. Excessive intake could be harmful for the health. Excess purines results in excess buildup of uric acid that could lead to formation of kidney stones as well as gout. In Galician, it is baked with ham, bread crumbs and onions. Conpoy is dried scallop in China. 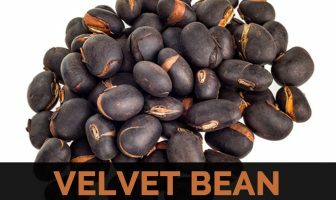 It is smoked and served as appetizers or used as an ingredient in pasta dishes. It could be grilled or fried. Cooked bay scallops are served with salsa which is made from diced papaya, jalapeno peppers, cilantro and ginger. Broil marinated scallops, cherry tomatoes and leeks in the oven which should be brushed with garlic olive oil. Scallops should be sauted with ginger, scallions and shiitake mushrooms. It is added to soups, salads and stews. It is served with light semidry white wines. It is grilled, broiled and poached. In Western, scallops are sautéed in butter or deep fried. In Europe, it is cooked as quiche. In Japan, it is served with soup, sushi or sashimi. It is found all around the world. Spawning is the process of reproduction. It has 620 eyes of brilliant blue color. National Baked Scallop Day is celebrated on March 12. October 2 is regarded as National Fried Scallop Day. Scallop is unable to close the shell completely and could survive in deep salinity sea water. The eyes are found at the base of sensory tentacles which runs ahead the outer edges of lower and upper shells. This allows them to respond shadow as well as movement. The ring found on shell symbolize the year of growth. In 400 BC, it played a vital role in artistic, religious and architecture. In Christian, the shell was regarded as the symbol of rebirth. Scallops which were sold in the market of Hangchow, China were recorded by Marco Polo in 1280. The Scallop was known as the emblem of Methodists. A well-known oil company has the logo of fossilized scallop shell. It is a bivalve which has one fused adductor muscle along with hinge bearing a socket. It has well developed and very small eyes. It responds immediately to the change in light intensity and close moving objects. It swims by patting the valves to swallow water. The water is thrown when the valves closes with the use of velum. It is mostly found in shallow water deeper. The shell contains fleshy meat in white color and mild sweet flavor. It is found in all the oceans as well as bay waters. The scallop found in bay is smaller in size comparing to the sea scallop. It has high content of minerals such as selenium, potassium and magnesium. Native It is found in various waters and is abundant in Atlantic Ocean and Mediterranean sea. It is also found on Asia, Europe, Australia, Mediterranean, South America and North America. Calories in 2 large (31 g) 67 Kcal. Allergic to shellfish, lobsters, shrimp or mollusks should avoid it. Consult the doctor before use to prevent reactions. It is baked with ham, bread crumbs as well as onions. It is served as appetizers. Cooked scallops are served with salsa. It is sautéed along with ginger, scallions and shiitake mushrooms. It is also grilled, broiled and poached. It is also cooked as a quiche. It is found in all oceans of the world. Reproduction takes place through spawning. It contains 620 brilliant blue color eyes. October 2 is considered as National Fried Scallop Day. Scallop cannot close the shell completely. The eyes are located at the base of sensory tentacles. The ring found on shell determine the year of growth. The shell was also regarded as the symbol of rebirth. The Scallop is called as the emblem of Methodists. Calories 67 Kcal. Calories from Fat 30.51 Kcal. Calories 84 Kcal. Calories from Fat 0.35 g Kcal. Calories 59 Kcal. Calories from Fat 3.78 Kcal.